The enchanted story of an unusual romance in a very normal time. San Francisco. 1947. The war is over and the boys are home. Nick Williams, a native of the City, served in the Navy during the war. Now he lives with his lover Jeffery Klein, Esq., in Jeffery's house. He knows he needs to move on, but he can't. Not yet at least. Carter Jones, a transplant from south Georgia, stayed home during the war. His draft board said his job as a fireman was more important. He's living with his best friend and former lover, Henry Winters, who spends most nights across the Bay in Oakland with his current beau. As hard as Carter works on his body and at his job, the lonely nights are empty. Two handsome men in one beautiful city. Can they find each other? Across a crowded room? 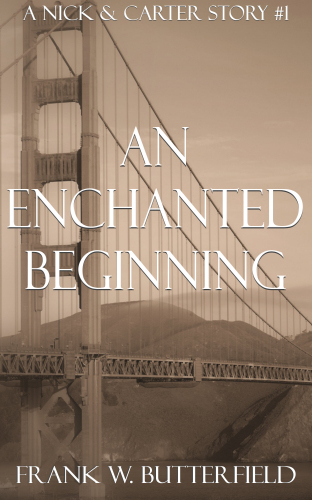 An Enchanted Beginning is the complete back story of this wonderful love affair. Starting in 1947, this book is composed of several parts that move the reader gently through an unusual love that starts during a time when everything and everyone was supposed to be getting back to normal. From 1947 through 1950 and beyond, Nick & Carter's love is anything but normal. If you're a fan of true romance and love to see it blossom in the most unusual of times, this is the book for you. These stories are a prequel to the Nick Williams Mystery series of books, which start in 1953 with The Unexpected Heiress. These are stories about Nick and Carter.